Did you ever thought of avoiding someone for some reasons, but want to read incoming messages they send. But, Those blue ticks(Read Ticks) make hard for us to do, but now there’s exists many ways to read their message without being noticed by them. 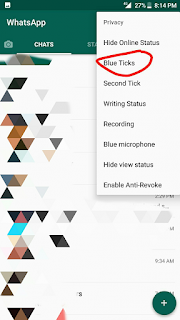 WhatsApp introduced a new feature (blue tick) in November 2014,Also see : Photo Lab PRO Picture Editor v3.0.27 PATCHED Premium apk GTA IV Full Premium mod APK+Obb for Android How To Install Dolby Atmos On Any Android [Root & No Root] 2018 which alerts users when their message had been read by the recipient or the receiver Where, Grey ticks means received Blue ticks means read. There are 2 Methods for read WhatsApp messages without blue tick. Let’s have a look at them from below. 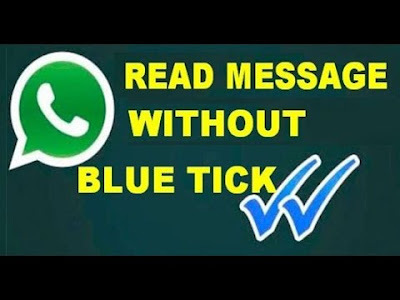 Read receipts is the easiest method to remove blue ticks in WhatsApp Application. 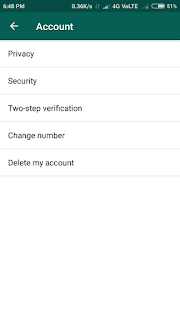 Follow these easy steps and you can use WhatsApp without blue ticks in a few minutes. Tap on the menu option(Three dots at right-top of the screen). Now tap on settings option. Settings tab will be opened. 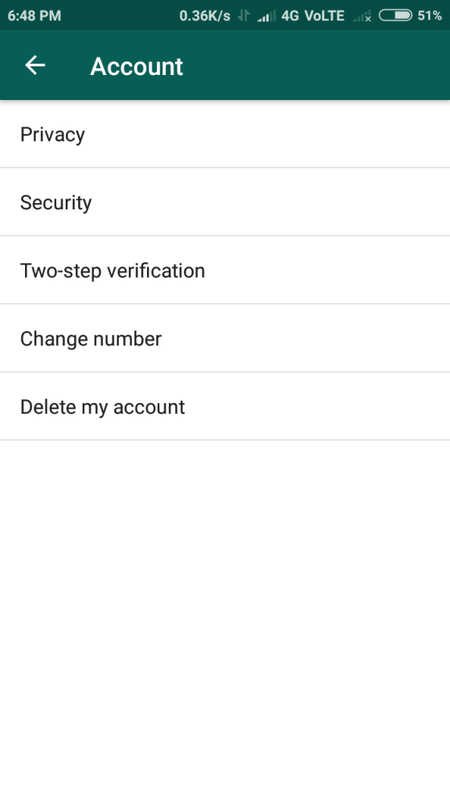 In Accounts tab, you can find PRIVACY option. Scroll down and there you’ll find read receipts option ticked (ON) by default. Tap on the read receipts option. It will take some time and now read receipts will be removed. Please keep in mind that if you remove read receipts in your device. Then you won’t be able to see other persons read receipts i.e blue ticks. If you remove read receipts feature, the other person sending messages will not know whether you read his message or not. Same happens when you send a message to someone. This is a non-perfect solution for our needs. i sent 4 messages to the same person and only the 2nd message show the blue ticks in whatsapp. why? 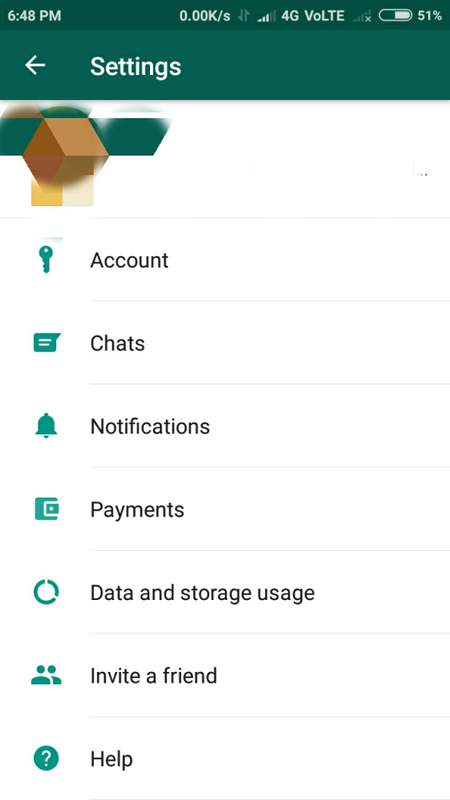 Many of us know about WhatsApp modded apps. People how don’t know about them I’ll give a brief explanation. 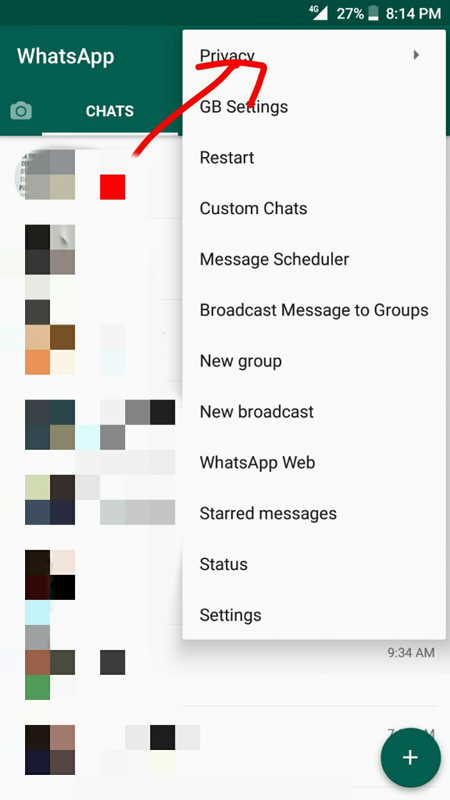 WhatsApp modded apps are the apps modified by other Dev’s (Developers not the one who work for WhatsApp). 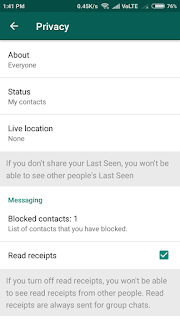 They make the official app of WhatsApp to serve people needs, like adding more privacy options, ability to send uncompressed files, spying options etc. 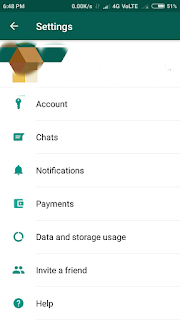 We have many apps like GB WhatsApp, Yo WhatsApp, WhatsApp+ etc. They all have different variety of features but they all serve the same purpose. Coming to our topic, we can use these apps to read messages without blue ticks. 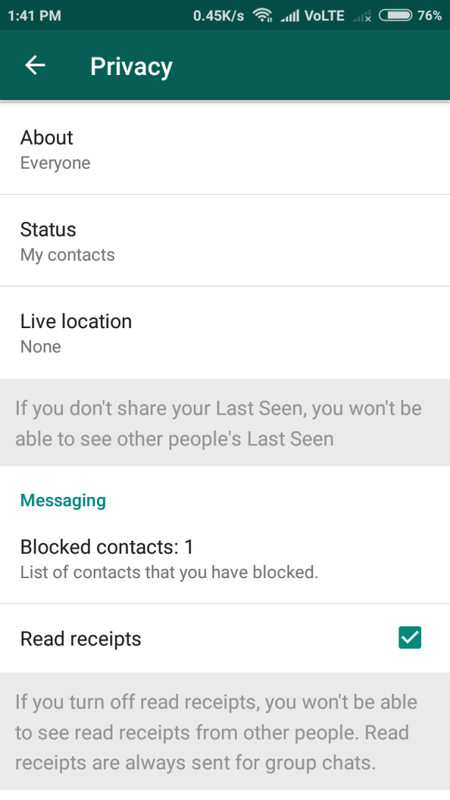 I’m using GBWhatsApp to demonstrate this method. Find 3 dots on the right-top of the screen. Tap on that 3 dots. Now a small menu will be visible like this, tap on the privacy option. A warning window will be displayed. Click OK.
WhatsApp will restart and after restarting you can read messages of others without blue ticks. 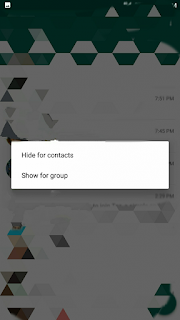 We can choose both the options but we should select one by one, Like first hide for contacts then again following the same procedure hiding for groups. After tapping Hide for Contacts or Hide for Groups WhatsApp will restart don’t panic.